Founded in 1888, Palmares is one of the Costa Rican towns that has strived to maintain much of its Spanish Colonial charm, and truly enjoys the Pura Vida of the countryside. Drive down the main Calle and be treated to restored original wooden homes, palm tree lined streets (the town was named after the palma reals that filled the area), clean parks and historic churches. Although relatively unknown outside of the tico community, more expats are starting to notice its charms. The neighboring towns of San Ramon and Atenas have managed to fill their borders with expats while the Palmarians have kept their area relatively secret. 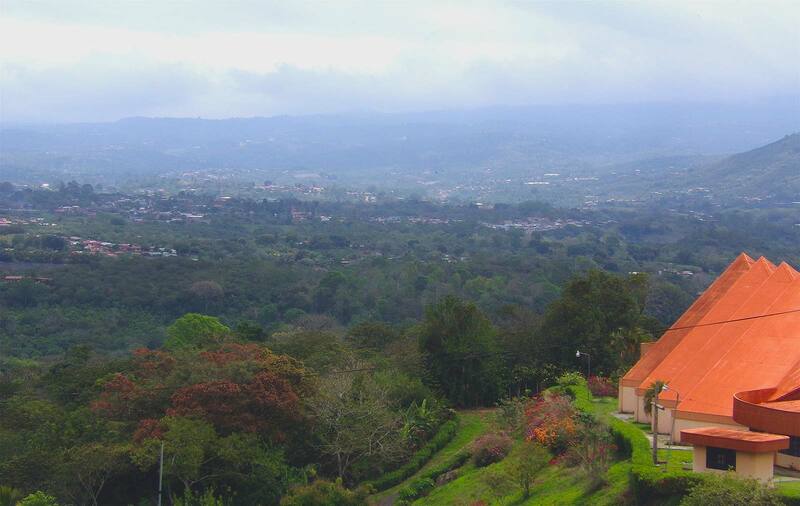 It is actually reported to be the second largest city in Alajuela, though you would never think it from its small town feel. When it comes to relocating, Palmares has all the amenities one would need and want. Several nice restaurants, major grocery stores, a great beer store, and a large variety of small mom and pop stores - some high end boutiques as well. The streets are wonderful to wander and enjoy, or sit at the park across from the old stone church while the world passes by. There is even a jumping water fountain right at the base where children will not be able to resist running through on a nice hot day. Nestled in the mountain valleys between San Ramon and Atenas, you will enjoy gorgeous green mountain views by day, and twinkling lights and stars by night. From some areas, see the ash plums of the distant Turrialba Volcano, and planes coming and going from the International Airport. For families, a wonderful schooling option is Colegio Bilingue Experimental de Palmares - one of the 13 IB Accredited schools in the country offering a diploma recognized and accepted by Universities around the world. Retiree expats will love its proximity to so many great and wonderful things to see - from tourist attractions to local secrets, and everyone will enjoy the ammennities, proximity to great healthcare, great weather, and of course the simple fact its in Costa Rica! One of the most stable countries to choose according to the International Living folks, and the world in general. So whether you are retiring and looking to stay close to great adventures and true tico culture, or moving with your family to an area rich in history, relaxed with pura vida, and with great school options for the kids, let us show you our beautiful city of Palmares!